Just when I think I've figured out the vitamin mystery i realize I haven't. Been taking 5000 iu vitamin D bid from Now brand with olive oil. Been having the worse diarrhea/gas wondering if it's from rancid oil. So i started looking into a high quality cod liver oil. why do you not like this form of vitamin d? I liked the idea that cod lier oil has both vitamin d and vitamin A, important immune builders. I was also reading about the relationship between different vitamins i.e. you can't just take vitamin d without magnesium but also read that you should be taking zinc, selenium and vitamin A? and now K2? I really don't want to take 50 different vitamins. I mainly wanting to increase my immune system and vitamin d levels were very low 9. Would love your thoughts. YOu don't want to take 50 vitamins? I counted 4 that you need for the proper utilization of Vitamin D. However, there may be others that you need that you may not even know about. That's why I recommend never taking vitamin D alone, and never taking one with an oil that can go rancid, as you found out. 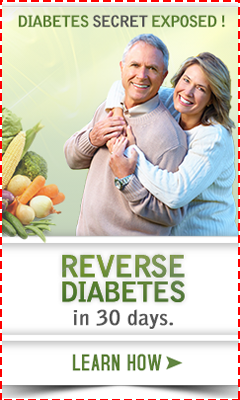 Therefore, I would suggest getting Longevity Plus Beyond Any Multiple that already has Vitamin A, K and magnesium in it, and trace minerals that you may need that we simply don't know about as 'insurance'. And you can get the NO OIL Vitamin D Supplements to go with it. In addition, if your level is 9, 5000 IU"s is hardly going to bring your level up. 5000 IU's is a MAINTENANCE dose to take once your levels are normal, not a dose to take to bring levels up to normal. 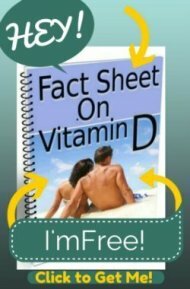 Please read my page on Vitamin D Therapy where I outline all of this in step by step detail. And you can see my page on Cod Liver Oil Information on that page. You would long overdose on Vitamin A before you could ever get enough vitamin d to make the slightest bit of difference in your vitamin d levels by taking cod liver oil. Sorry I was being sarcastic when I meant 50 vitamins. Just trying to convey I didn't want to take a ton of different vitamins and would rather take things that have what I need in the smallest amount of pills. I will look into your dry vitamin d recommendation. I liked the idea that the vitamin d & oil was just that no other fillers or other ingredients and since it is a fat solvable vitamin makes sense it would be better absorbed in an oil. this is what I've read up I til I found your website. What is the dry vitamin d made from, lanolin? Also trying to find a brand made in coconut oil which would be my first choice. I'm taking 5000 IU bid, sorry I must have omitted that. My levels have gone up and was very happy with the 1 st bottle I had with no problems. I just must have received a bad batch which led me to do more research on the topic leading me to you. Do you have a post on vitamin A and what amount/ type of supplement should be taking so the A / D balance doesn't get out of balance? I was reading about astaxanthin and was wondering g if this would be a good choose? Vitamin D IS better absorbed with fat, but there is no need to get the fat in the pill, just take the supplement with a meal. If you don't have fat in your meals, you should anyway. And same goes with the nutrients you need with vitamin d, you don't 'necessarily' need to get these nutrients in pills just because you need them with vitamin d, you just need to 'get them'. Also, there is no need to take vitamin d twice a day. In fact, your entire dose can be taken all at once, once a week if you wish. I take mine all at once, once a month. Studies have been done showing that even once every three months is safe and effective, however, I'd save those kinds of doses for maintenance. I have outlined a lot of information about Vitamin A on the cod liver oil page. And astaxanthin is a carotenoid, however it's not 'Vitamin A'. You may want to take astaxanthin for various reasons (it's a great antioxidant), but in relation to vitamin D, do not confuse the effects of Vitamin A to the carotenoids. The rest of your Vitamin A, you can simply get from foods, for the most part, like egg yolks, butter, full fat cheeses and other full fat animal sources. The amount of vitamin A in the Beyond Any Multiple is designed to go with Vitamin D in the proper amounts. The 5000 IU's per day in the multiple will avoid any vitamin d side effects and also avoid any overdoses.